If you’re on the market for a decent pair of bluetooth sports headphones, try out the Leophile EEL Headphones. For under $50, they offer a lot of features and decent sound for the price range. These headphones are rated IP67 water and sweat proof. It features a comfortable neckband design that stays in place, even during a run. The battery and buttons are in the neckband, so most of the weight will be on your neck instead of your ears. They offer decent battery life at 10 hours of playback time and take about 2 hours to fully charge. The headphones are also compatible with Siri and Google now. 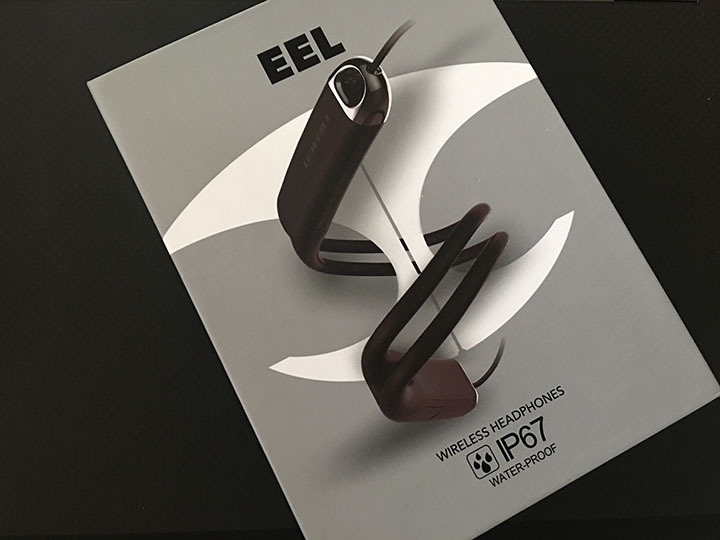 The Leophile EEL Headphones offer decent sound for the mid-level sports bluetooth headphone market that they’re targeting. Coming in under $50, you’ll get good bass, but sometimes the highs can be a little too high. Depending on the type of music you listen to, this may not be an issue. You won’t get some of the high end features that other headphones offer. There’s no active noise cancellation, but that’s not necessarily a feature you would want in a sport headphone. As mentioned earlier, the battery life is rated at about 10 hours of playback and takes about 2 hours to fully charge. While using the headphones, I was averaging close to the rated battery life. One initial concern I had was that there was no way to adjust the length of the headphone wire. When I first wore the headphones, the cable was too long and I constantly felt it against my neck and chin. 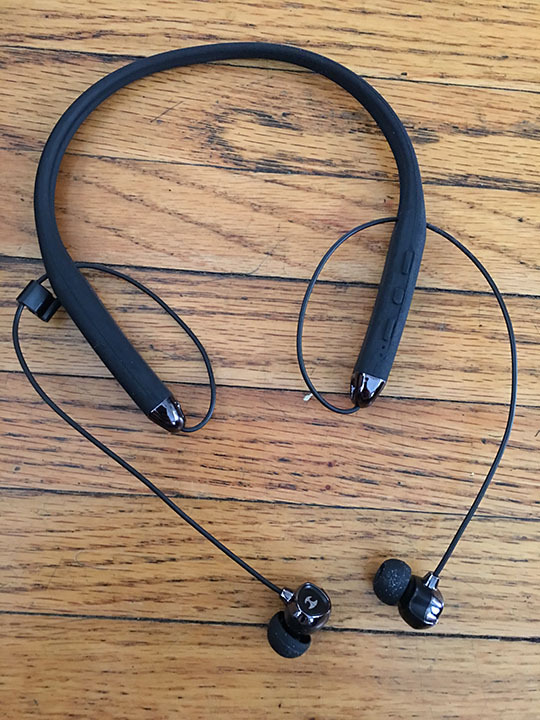 While it wasn’t obvious and there was no mention of it in the User Guide, you can run the headphone wire through the neckband to shorten the cable length. You would loop it through like the image below. While placing test calls in a busy outside downtown environment in Chicago, call quality was excellent. I could hear the other person clear and they had no issues hearing me, even on a windy day. The Leophile EEL Headphones are comfortable on the neck and in the ears. I used the headphones while running and they stayed in place the whole time. The material of the neck band is soft and comfortable and the weight helps keep them in place without feeling like a lot of weight on the neck. The buttons are on the neckband and they’re easy to find and use. 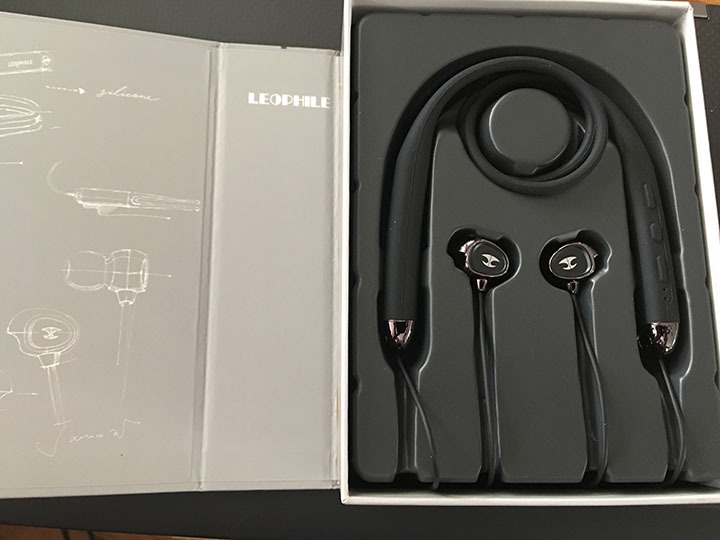 For a mid-level sports headphone, the Leophile EEL Headphones are good for the price and are very comfortable. Buy the Leophile EEL Headphones on Amazon now! Am I the only one who doesn’t like earbuds? I just prefer the traditional type of headphones where you could have them resting in your ear and plugging them all the way inside.